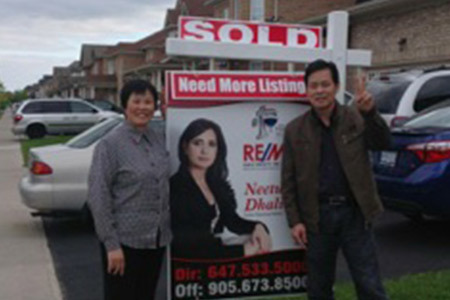 Selling Homes and businesses is made easy with Neetu as while you list with others, your real estate property is not always properly shared on social media but with Brampton based Realtor - Neetu Dhaliwal, your properties are shared with hundreds of network friends who further like or share the property with potential customers and thus help in a successful open house and thus effective sale and high profits. 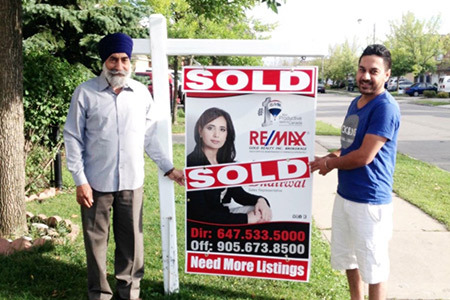 Our commission is reasonable as compared to some of the realtors in Canada and being a hotspot area, Brampton Realty has a huge rush of buyers but the only factor is that the right buyer is the one who will pay highly over asking price and will make your sale a profitable one. 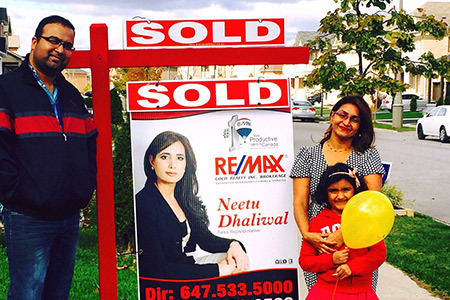 Contact one of the Best Real Estate Broker - Neetu Dhaliwal, today and get your townhouse, detached home or condominium listed for sale. Searching for a home ? 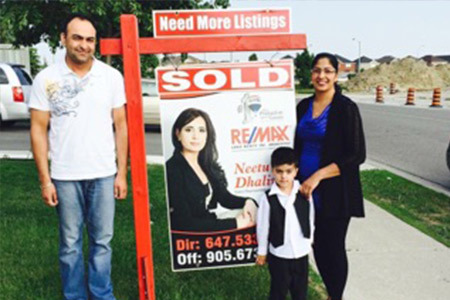 As we all know, with every year of 10% to 15% increase in home prices at the minimum, finding an affordable home for sale in Brampton is becoming tougher but with Neetu Dhaliwal, you can have a chance to secure a good deal with her powerful home searching skills. 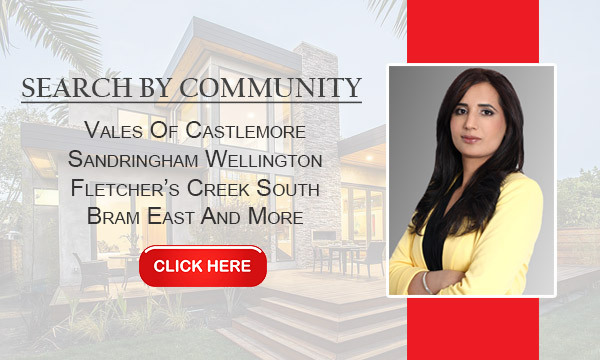 She is an absolute professional Real Estate Broker in Brampton and her knowledge of how to deal with the newly listed homes in a quick manner without losing time makes her ahead in the home bidding game. Your home search in Brampton Real Estate is just a click away as our website lists new properties in matter of hours of being on the market and also like our Facebook page where newly listed homes and businesses for sale are shared so you are always connected to a network where real estate listings are shared more frequently. Check out the properties listed in the network by top real estate agents in Brampton on the map below. 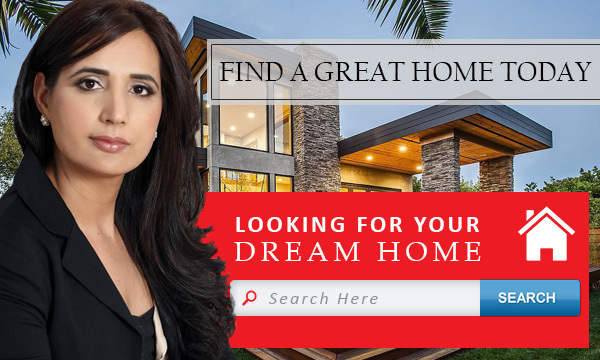 If you find any detached house or a townhouse or condo matching your criteria, just give Neetu Dhaliwal a call to follow up about the real estate listing in detail. Neetu Dhaliwal, a name of trust and a person with complete dedication towards work, and when it comes to real estate, Neetu is 100% reliable. Difficulty in choosing a reliable real estate expert? 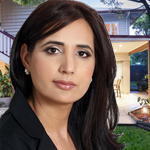 Contact Neetu Dhaliwal today to know what better we can do for you to make an impression. 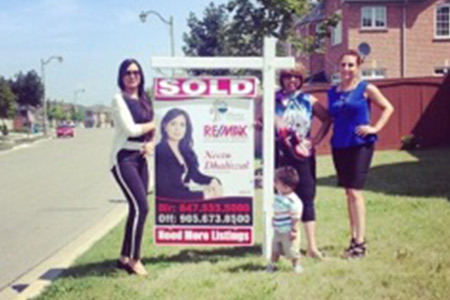 Real Estate Broker Neetu Dhaliwal has been working in the city of Brampton from past many years and is one of the top realtors that have achieved 100% customer satisfaction by delivering a reliable service for each home sale. 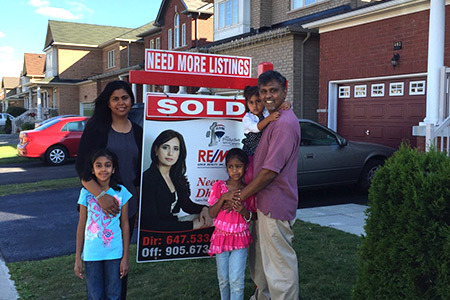 Neatu deals in buying and selling of houses in Peel Region and parts of Greater Toronto Area with focus on selling real estate properties in Brampton neighborhood. She has gained huge experience in selling detached homes in reasonably short time and has always sold homes for more than the asking price. Brampton is a busy city and with lots of buyers searching for a dream home, sellers have a upper hand with lots of potential buyers competing for the listed property. 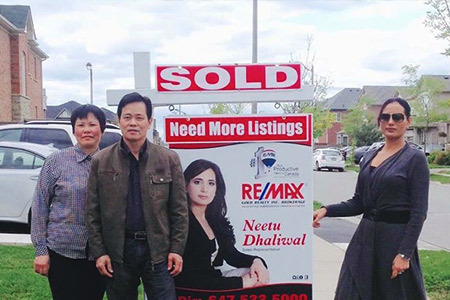 If you are not confident about choosing the best realtor, then contact Neetu Dhaliwal for any questions you have and she will be always ready to clear your doubts and help you sell your home with confidence. 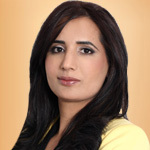 Neetu Dhaliwal is currently working with REMAX Realty Services Inc Brokerage and with the hands on experience in helping both property buyers/sellers on how to accurately predict market price while listing residential properties and making sure to concentrate on key point that make the sell faster and smarter. 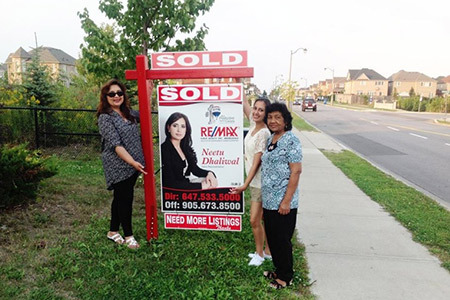 From past many years, she has helped with the sale of so many brampton real estate properties and has also been highly recommended by her clients. With all her dedication and efforts put into each & every realty deal, Neetu leave no stone unturned and feels pride in seeing her clients happy with the sale or purchase. Whether its about buying a house for your family or if you are a first time buyer looking to move from rent to own house and have so many doubts on how things work and where to find a location suiting your budget and preferences. 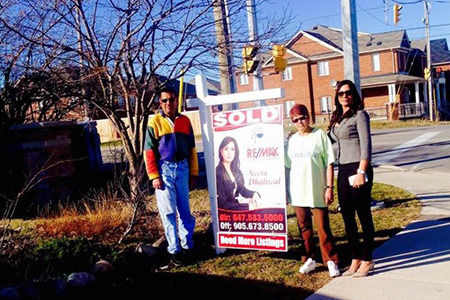 With ever increasing prices of Real Estate in Brampton, it never late to buy one & be a part of this never stopping boom.